Water – everything has potential to impact on water. As a WHOLE catchment group we have control of inputs, good and bad. We can improve water quality and biodiversity of whole Wallop Brook. Improving soil health will address water quality and improve productivity. Biodiversity Priority habitats/species/Woodland Adjacent to Wallop Brook (tributary of River Test SSSI), we’ll build on previous good work. Some tree planting can help keep the river cool, provide natural flood management and help water quality. We’ll enhance remaining areas of chalk grassland and encourage new areas using donor seed from existing habitat. Maintain/enhance our corn bunting, stone curlew and grey partridge populations. Will survey with volunteers and continue work with RSPB who are monitoring stone curlew. Will deploy management techniques to benefit these species where possible. Will work with Red list Revival to focus effort and establish baseline against which we can measure our success. Creating more pollinator habitat will also benefit these species. Historical Plantlife data shows much of the area to be of national importance for its arable flora.. We will work with Plantlife to gain better understanding of current situation and help inform management. Historic Environment away from river valley, the Wallop Catchment would once have been a chalk downland landscape. Historic evidence suggests there was little woodland but hedgerows would have been key historic boundaries. 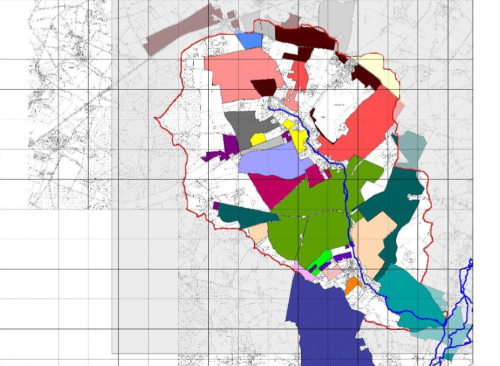 We’ll select locations to enhance these boundaries, strengthening the weakened landscape character, improving biodiversity (potential brown hairstreak) and delivering wider benefits such as windbreaks and water retention. Landscape – away from river valley, the Wallop Catchment would once have been a chalk downland landscape. Historic evidence suggests there was little woodland but hedgerows would have been key historic boundaries. We will select locations to enhance these boundaries, strengthening the weakened landscape character, improving biodiversity and delivering wider benefits such as windbreaks and water retention.